Hello and thank you for stopping by today. 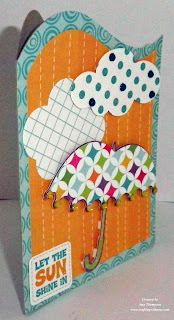 Here is the card that I made for the Fantabulous Cricut Challenge Blog - Challenge #156 April Showers. I used my Cricut to cut out the base of the card and the layers using 3 Bird's - Life's A Party. I then used my Sweetheart cartridge to cut out the umbrella. The clouds and the sentiment are from the Echo Park Summer Days embellishments. I popped up the umbrella and the polka dot cloud. 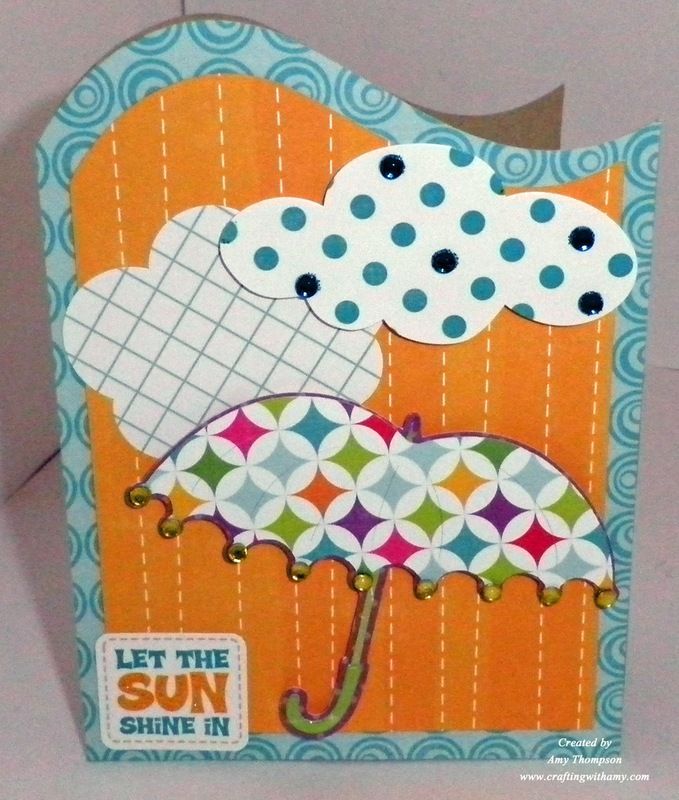 I used some stickles on the word sun and my iRock to bling up the cloud and the umbrella just a little bit. Thank you for stopping by today. I hope you felt inspired by my card. Don't forget to go check out the other design team members inspiration and join in on the challenge here. Beautiful card, love the patterns. I love your card. The colors are wonderful. Love how the shape just makes your card stand out. TFS.